Clear aligners offers teens and adults alike the opportunity to straighten teeth and fix bites without covering up your beautiful smile during treatment. If you’ve been told Invisalign or other clear aligners can’t fix your smile, come get a second opinion with Dr. Cooper. She can treat almost everything with something she is calling Clear Aligners-Plus. Like traditional braces, clear aligners works by applying light pressure on your teeth to push them into a better position. Traditional braces accomplish this using metal brackets and wire. Clear aligners use practically invisible plastic aligners to straighten your teeth. You’ll be able to go home from your first treatment appointment with several retainers called aligners. Each aligner will move your teeth closer to the ultimate result. Traditionally, you’ll wear an aligner for about 1-2 weeks before switching to a new one, so you can actually see your smile improving with each week. If you’re accelerating treatment, Dr. Cooper recommends changing retainers more frequently, sometimes as often as every 3 days. Another benefit of Clear Aligners-Plus is being able to eat the foods you enjoy throughout treatment. For example, traditional braces prevent you from eating sticky and crunchy foods. Because you can take out your aligners at each meal, you can still enjoy these foods while your Invisalign trays improve your smile. 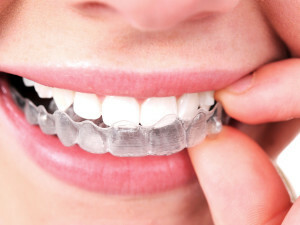 Did we mention that your aligners after treatment are also clear? When you finish your treatment with Cooper Orthodontics, you’ll receive several clear retainers to keep your teeth looking their finest. Dr. Cooper wants to make sure you enjoy a beautiful smile for years to come. The solution is clear – if you’re worried about how your smile will look while you straighten your teeth, check out nearly invisible options with Dr. Cooper. Some of our patients tell us they’ve heard aligners aren’t an option for them, but Dr. Cooper has experience treating a variety of patients with clear aligners. The Plus part of Clear Aligners-Plus involves using a variety of tools to get you the right results, including small tooth-colored buttons on your teeth or special anchors necessary to shift your bite. You may not need these additional tools to get optimal results, but Dr. Cooper wants to find a solution that works for you. So if you want to use Clear Aligners, chances are good Dr. Cooper can treat you with them. At Cooper Orthodontics, we are pleased to offer Invisalign if that’s your preferred treatment solution. 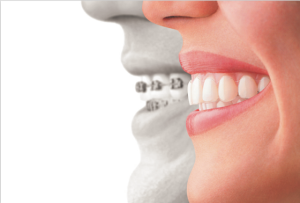 Traditional braces and Clear Aligners are the same price – you get to choose the treatment that you want. Instead of impressions, all patients start with a non-invasive scan using our state-of-the-art intraoral scanner. The results of the scan are sent off to the lab technicians who prepare a basic plan to improve your smile using a series of aligners. Dr. Cooper takes the lab team’s feedback and adjusts their plan to improve your results. She’ll often make further corrections and may plan to use Clear Aligners-Plus tools to find the best results for you. The ultimate result is a beautiful smile and the perfectly aligned bite you’ve always dreamed about. Invisalign offers conveniences in addition to being clear – like letting you eat the foods you really enjoy throughout treatment. If you’re considering straightening your teeth, but don’t want to advertise your orthodontic treatment to the world, the consultation appointment is FREE. So come visit us to learn more about clear aligners at Cooper Orthodontics. And when you come in to visit, ask about accelerated treatment to see the results you want in less time!